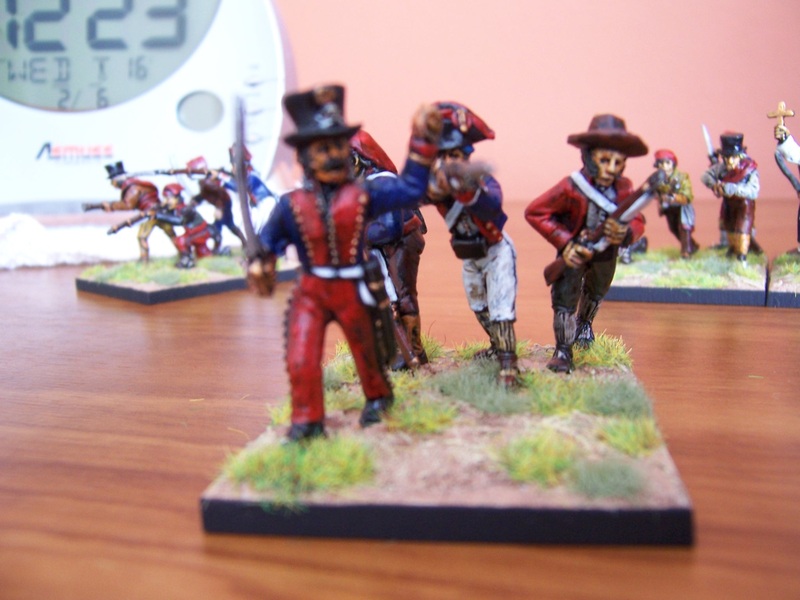 Yesterday I knocked out three Spanish guerrilla leaders for my burgeoning Spanish irregular collection. 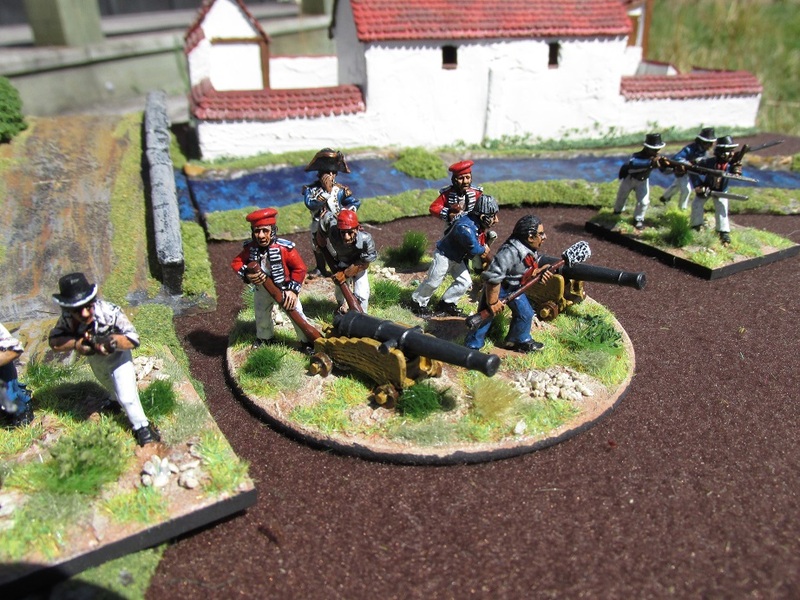 Manufacturers are Front Rank, Brigade Games and Eureka Miniatures. 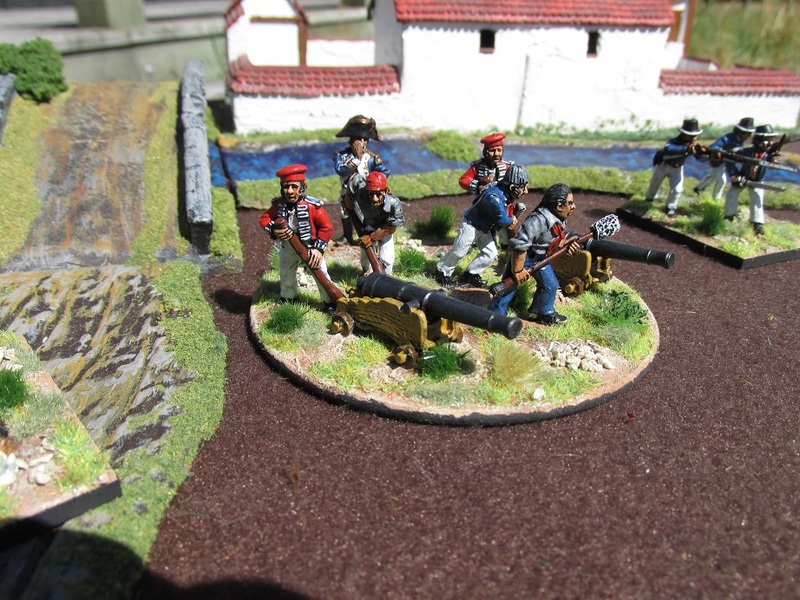 A little background – a few months back my gaming buddy Roly gave me some bits and bobs he had left over from his own Peninsular War armies. 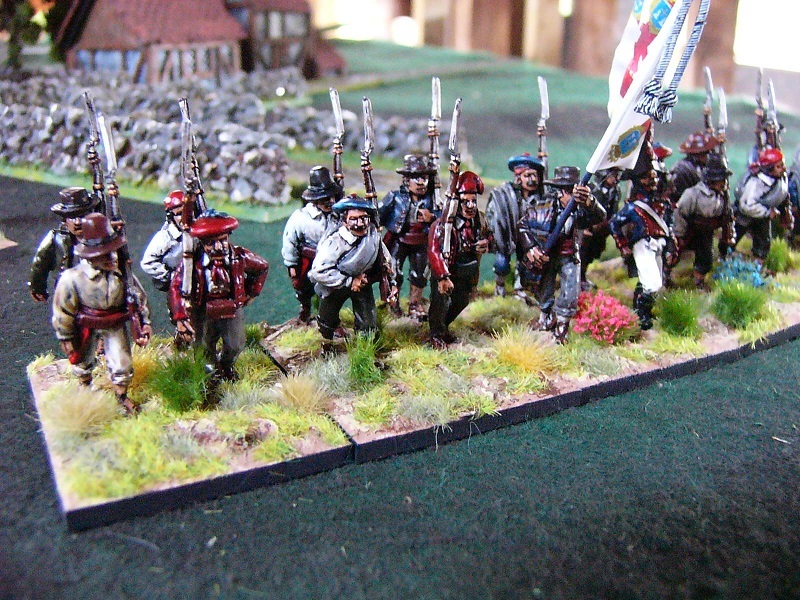 A dozen Front Rank guerrillas were included in this lot. 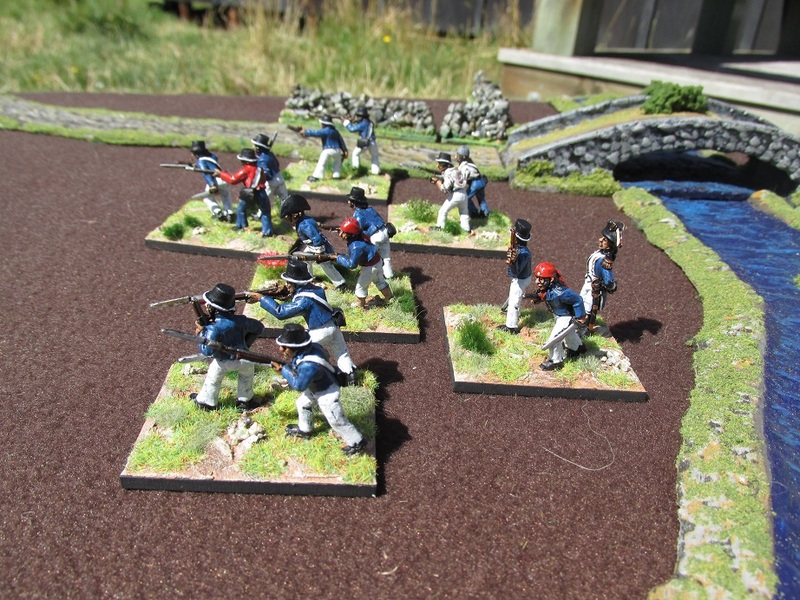 I have just finished painting them today but not photographed as yet. 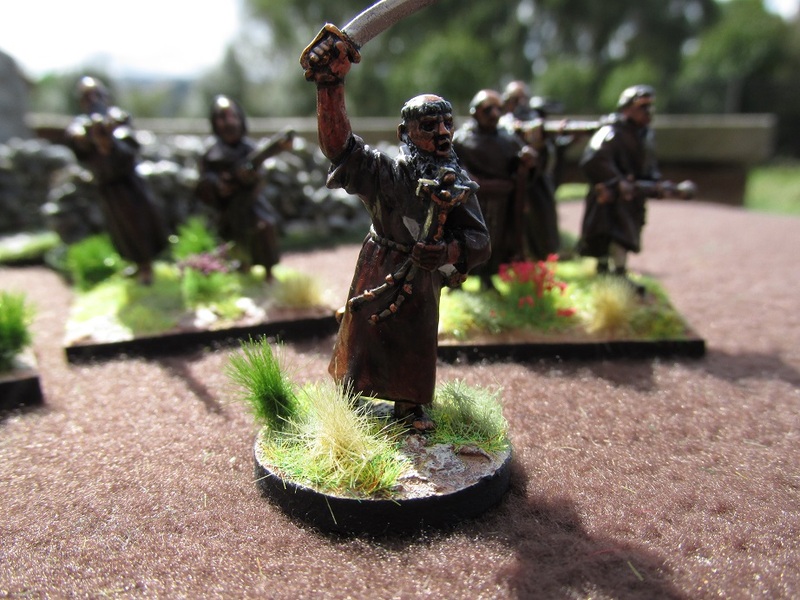 To lead them I have painted this Front Rank miniature. 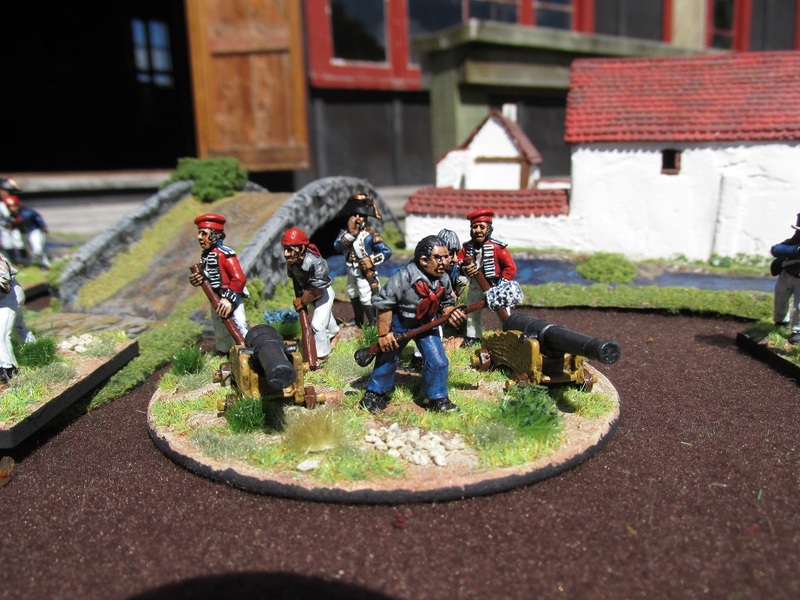 He is Don Gabriel Alvarado del Costa, also known by his nom-de-guerre ‘El Rolissimo’. 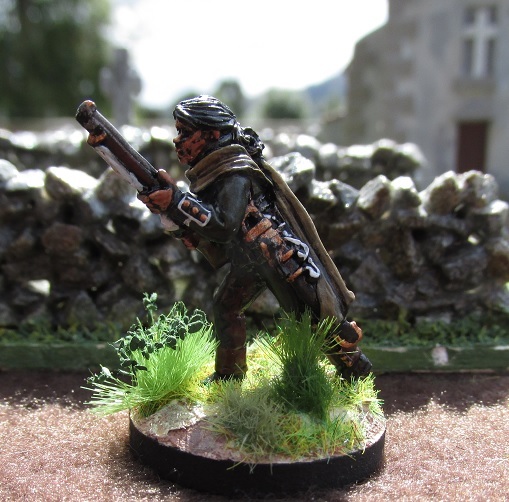 Next up is that scourge of the French, Comandante Teresa Moreno. 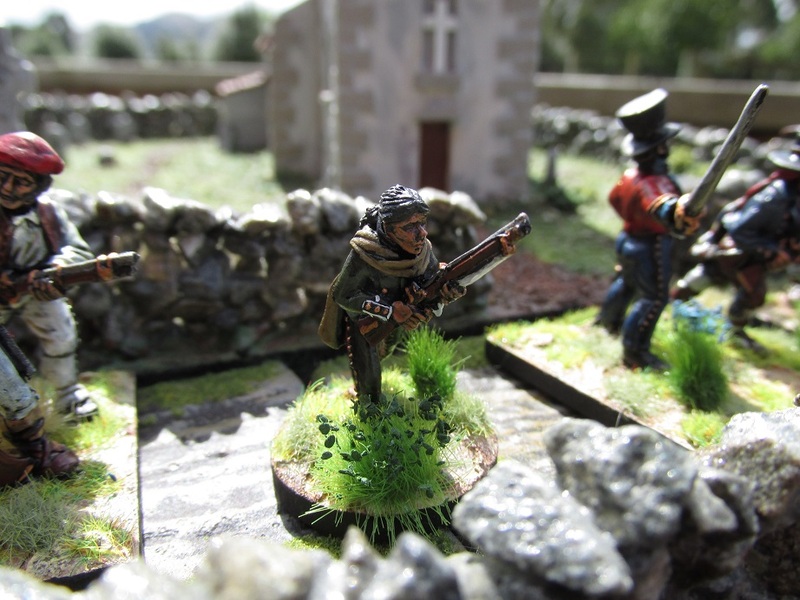 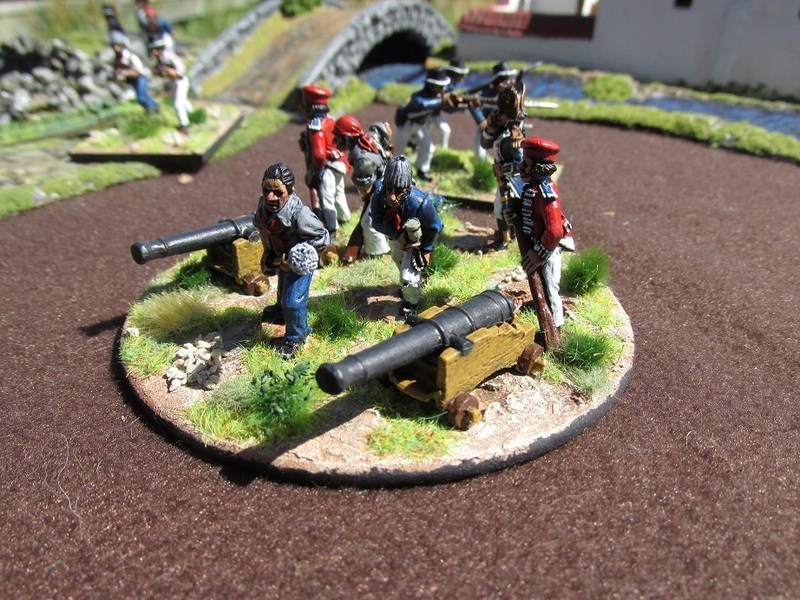 She is a Brigade Games miniature from their excellent Spanish guerrilla range. 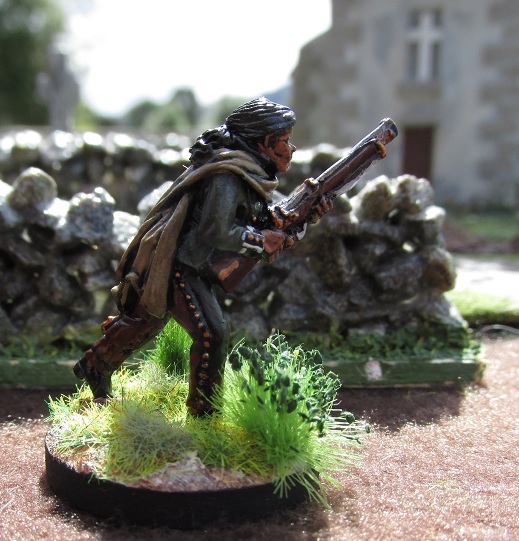 She is a crack shot with her Baker rifle, and known as La Aguja ‘the Needle, and not because of her skill with embroidery. 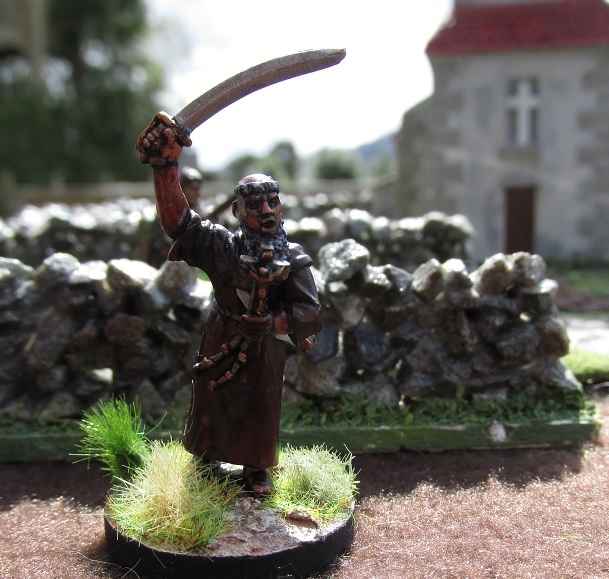 Finally we have the more than slightly mad monk, Father Salbatore, known as El Abad “the Abbot”. 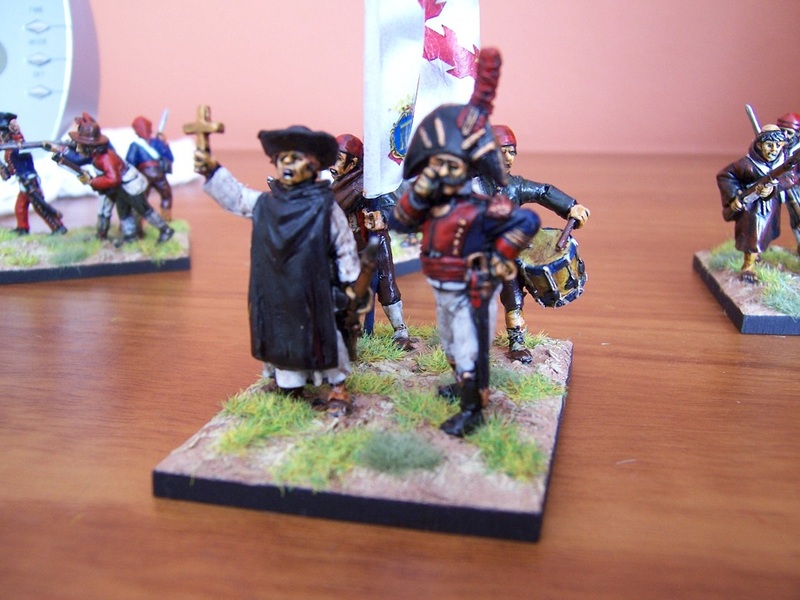 He hates the godless French and shows them no mercy. 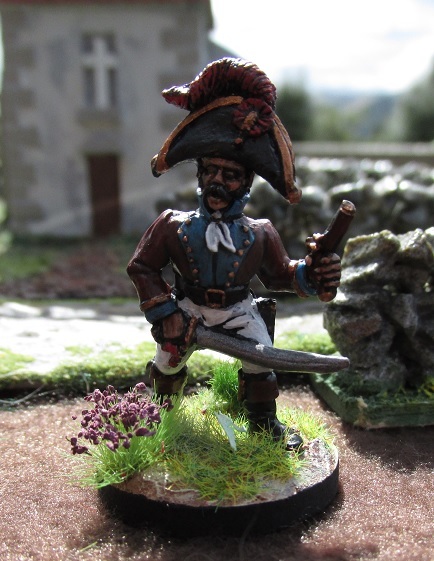 He is a Eureka Miniatures figure from their Tyrolean Militia 1797-1809 range. 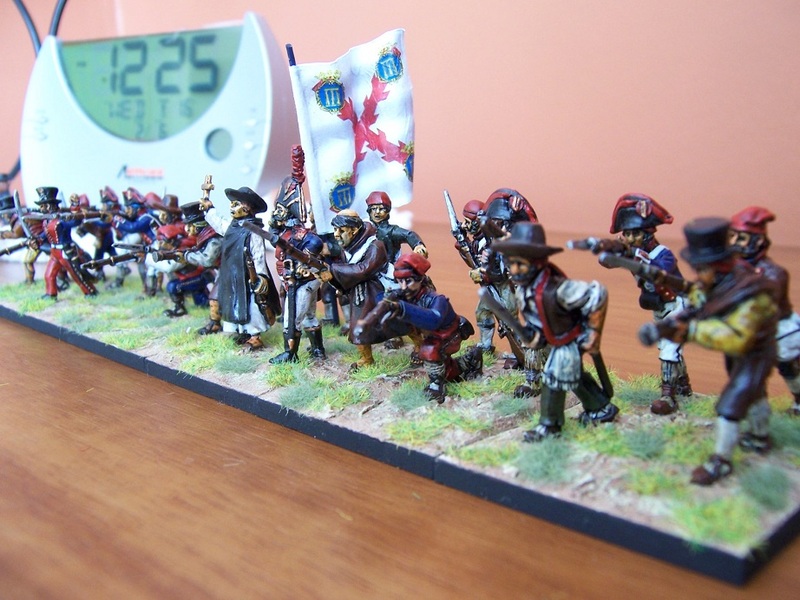 It only took most of the year but I have finally finished my first Spanish infantry brigade. 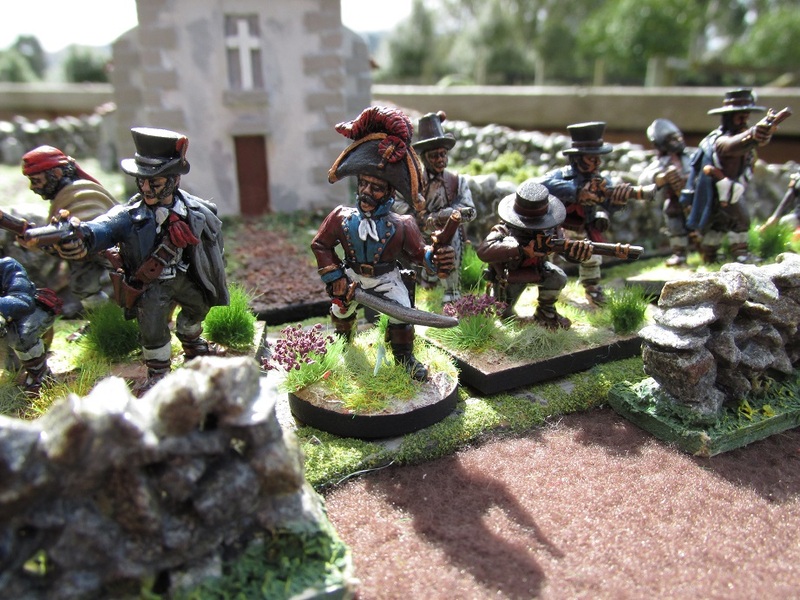 With my British troops already painted I could actually have a Peninsular War game now – as long as the Anglo-Spanish don’t want any cavalry support. 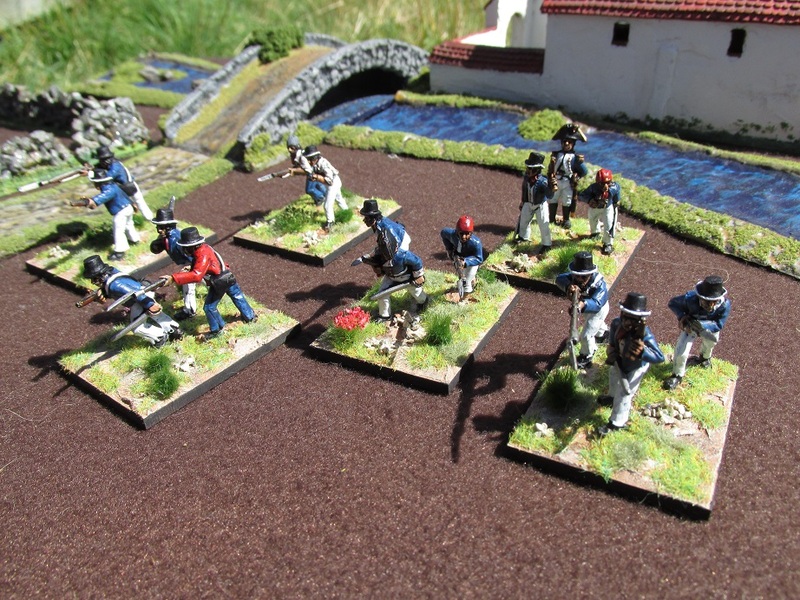 Marching in the bright Spanish sun is the Milicias de Prov de Oviedo. 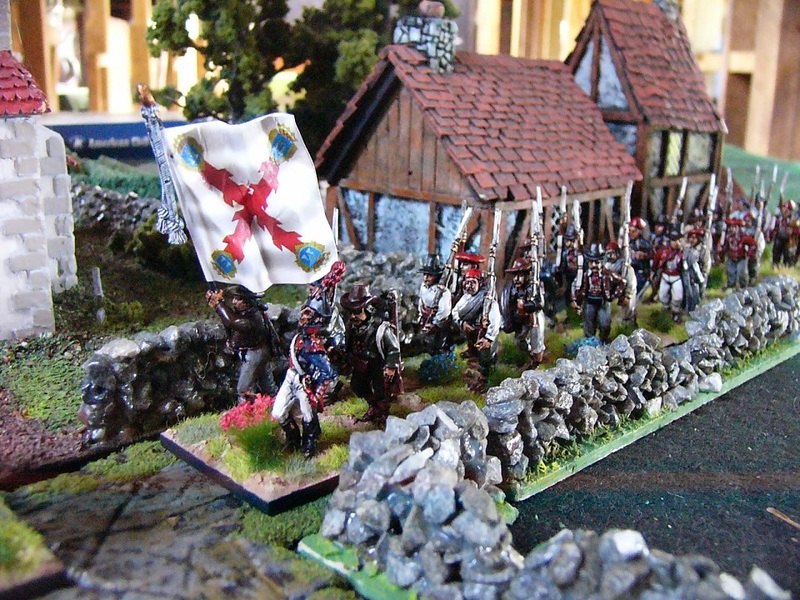 You can tell that by the flag – apparently. 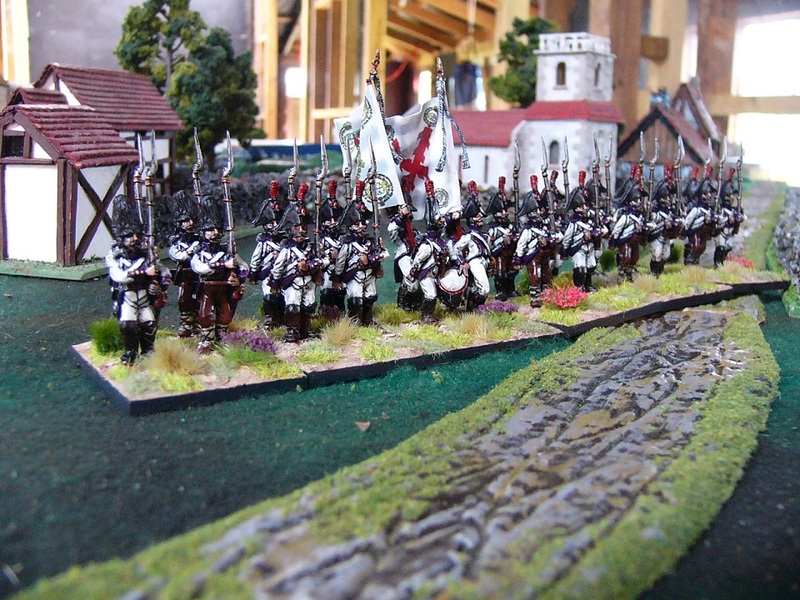 The battalion deploys for battle. 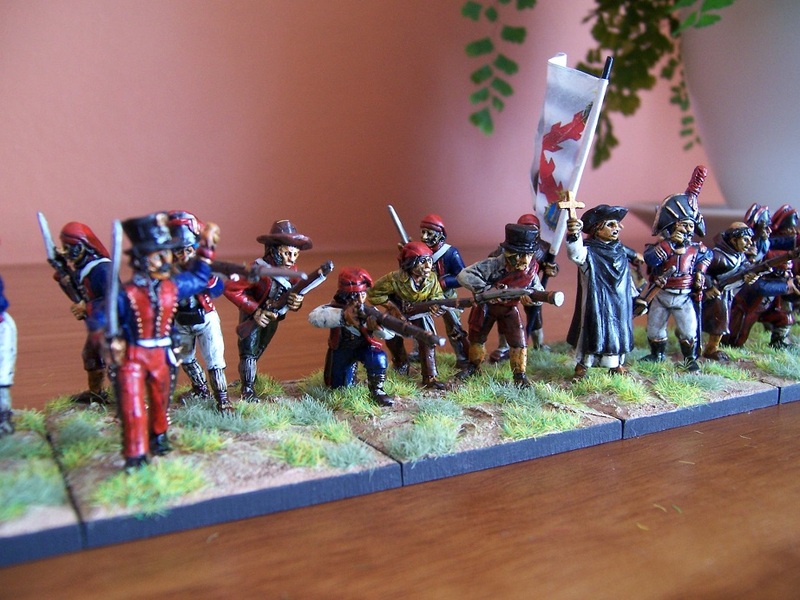 These are Perry Miniatures Carlist war infantry. 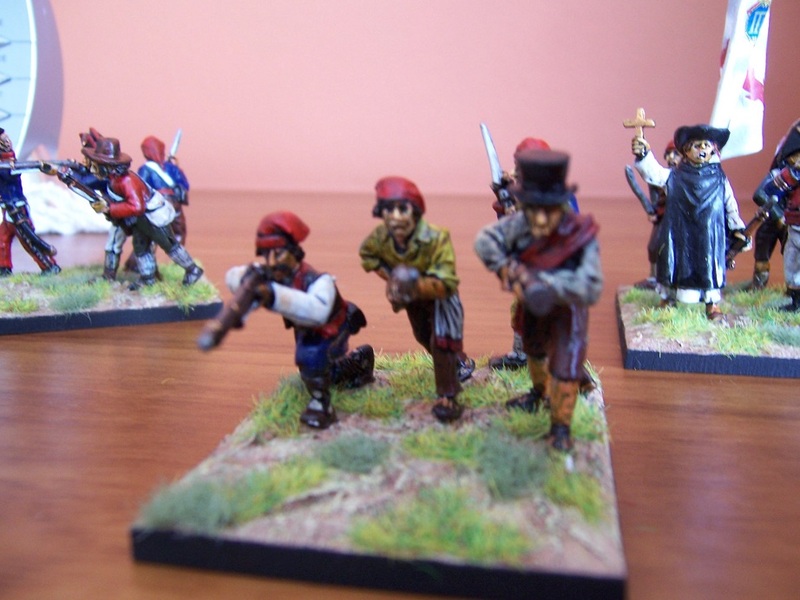 The Basque berets are not exactly right but who cares I say. 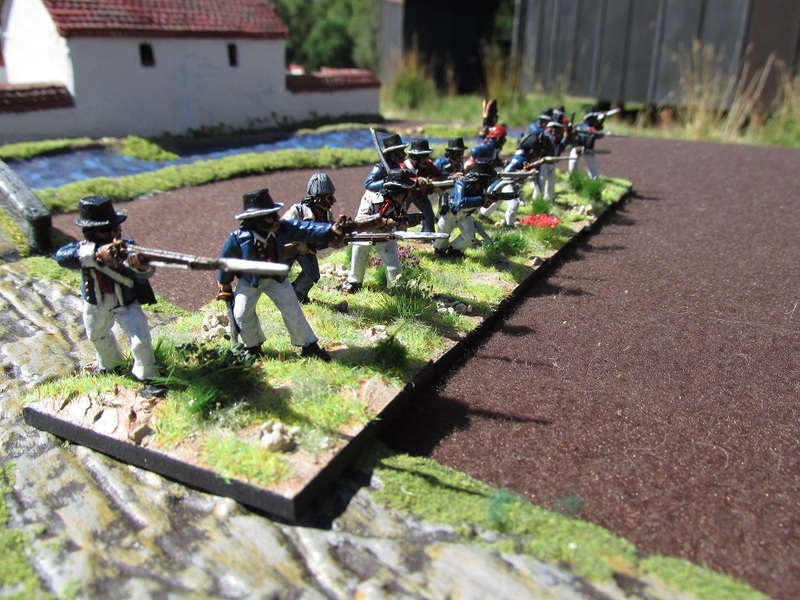 The eagle eyed among you may spot an Elite Miniatures regular officer leading this regiment. 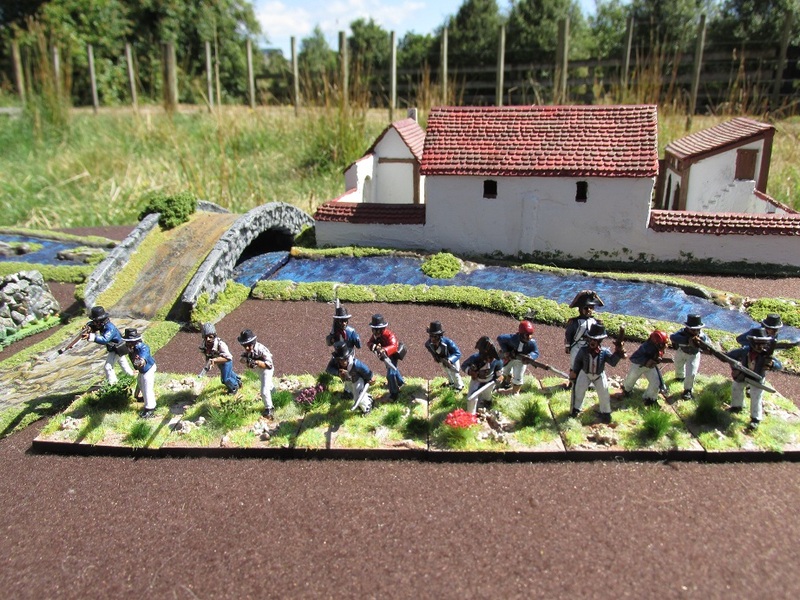 Three battalions of Militia head off to face the French. 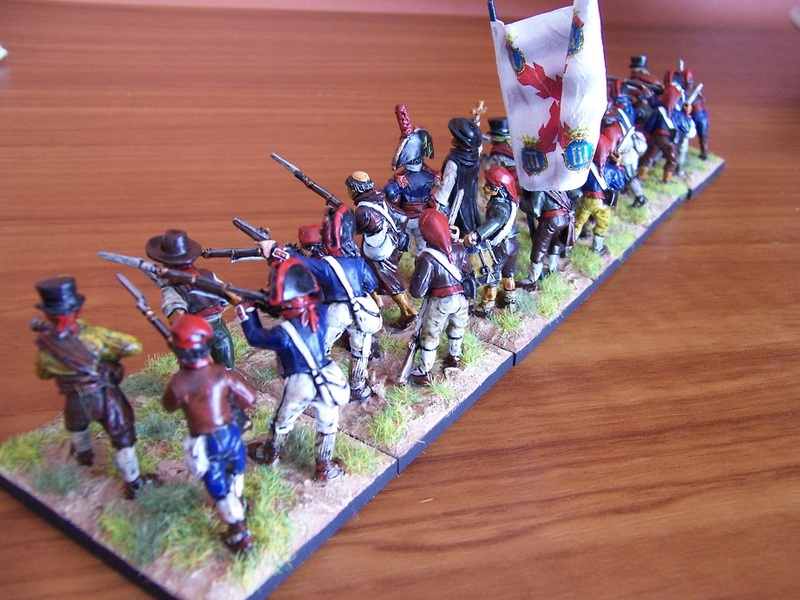 The battalion in the background is made of Brigade Games Spanish Militia and can be seen here. 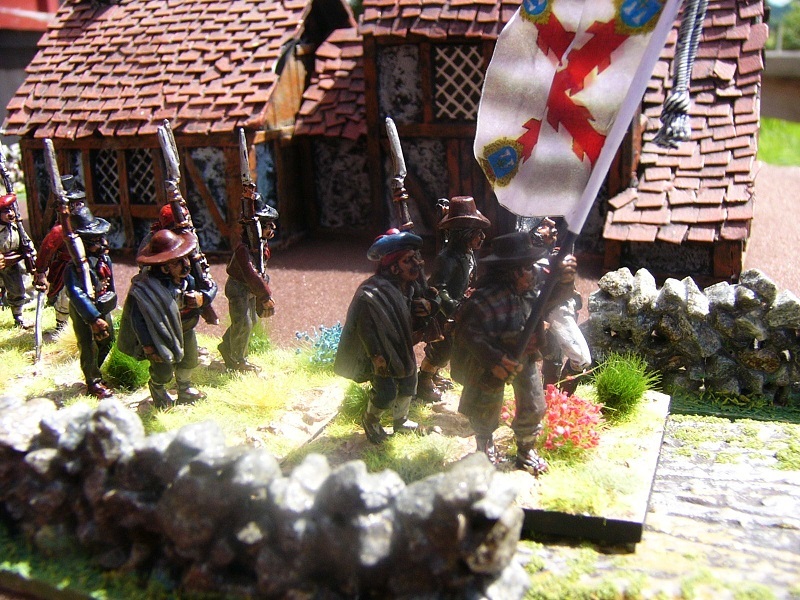 Another shot of the Oviedo Militia marching through a small village. 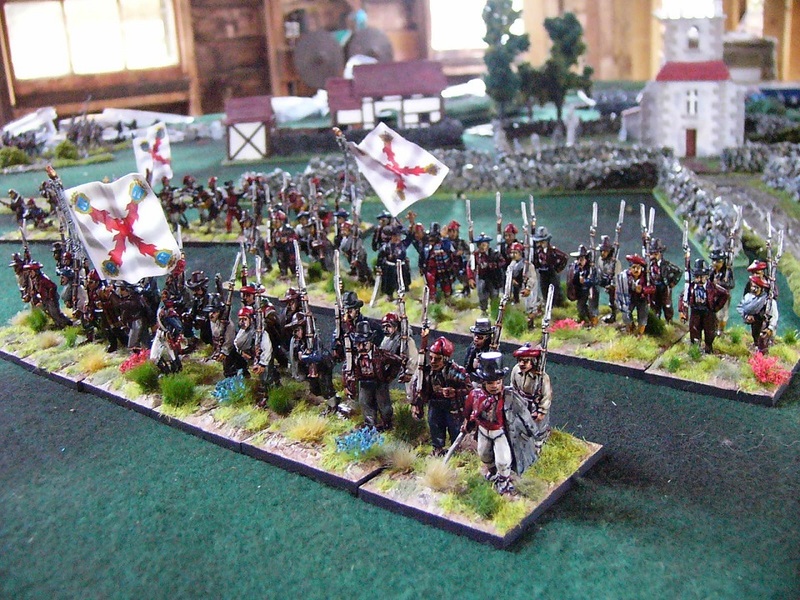 Their brigade is joined by a battalion of Regulars from the La Reina Regiment. 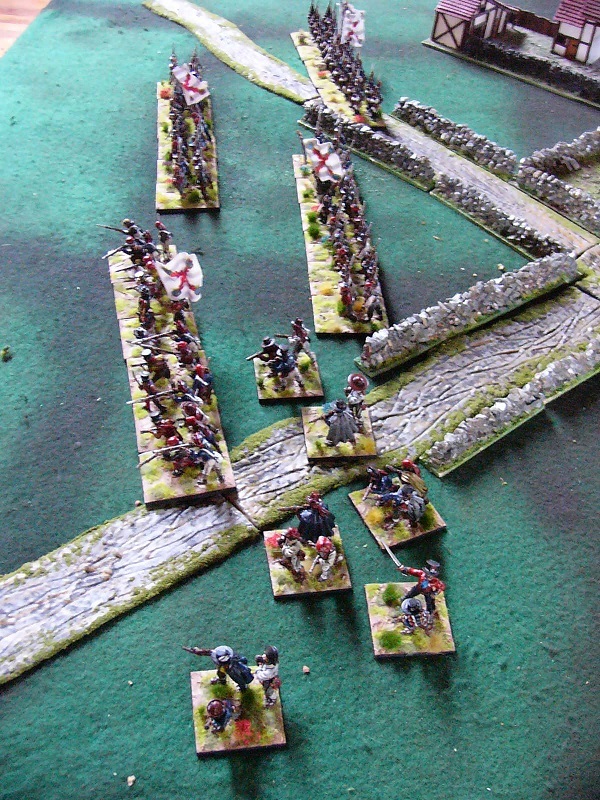 The brigade deployed for battle with partisans on the flank to harry the French. 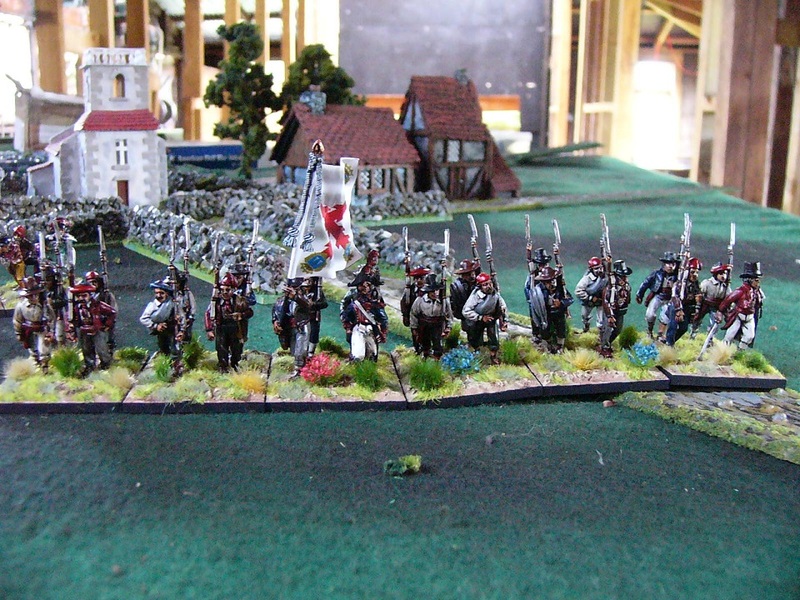 Next step in this army is the raising of some cavalry support. 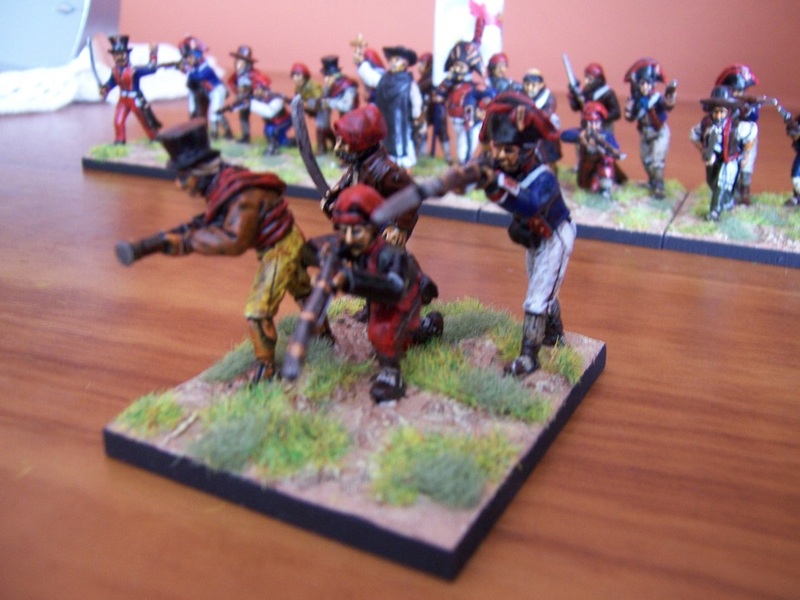 Elite Miniatures Australia is now selling Spanish dragoons, so I will get some of those in due course.